Recent figures show that over 1.5 million people currently work from home in the UK. The same figures showed that over 250,000 more work from home than 10 years ago. Add to that the 4.7 million people who are currently self employed in the UK who likely work from home when they need to and you’ve got a lot of people in need of a good home office set up. The home office provides many benefits and as the amount of people who opt for self employment, flexible working or other jobs out of the office increases, the need for a home office space too increases. It is invaluable to have somewhere practical, smart, well-designed, quiet and kitted out to work in on a day to day basis. There are lots of practical aspects of a home office to consider, which we’ll take a look at in a moment. But first, how about the fun bit? Decorating your home office. Colour influences how we feel. There is little scientific evidence to prove the psychological influence of colour on people, but most people you know will say certain colours make them feel certain things. Usually how we feel about colour is deeply rooted in our personal experiences in life although there are certain colours that have a standard general response such as yellow which is seen as a happy colour, and blue which is seen as a calming colour. In your home office, you have to think about a colour scheme that will look smart, attractive and that will help you remain focused and calm during work hours. A really easy way to achieve this is with Scandinavian design. The main tone is neutral, with white walls and clean, modern wooden flooring. The colours introduced usually come in two ways. One is with neutral, pastel like colours such as blue, pink or yellow. Or, splashes of bold colours which means you can choose the bright that makes you feel the most positive and splash than amongst the neutral backdrop. You can then change the colour whenever you feel like the mood needs changing. The style of your office should work for your working style and only your working style. Maybe you get the most writing done sitting up in an ergonomically designed desk and chair. Perhaps you like to take Skype calls slouched on a beanbag in the corner. Maybe you need ideas all the time, so you like to be surrounded by inspiring furniture shapes like the Arne Jacobsen Egg Chair, or the Eames Lounge Chair, inspiring quotes, or artwork. Ideally, you could start with a really good outlay, starting with an excellent desk and chair, and then adding further additions of furniture that you need. Whatever you do though, don’t clutter the space. Studies show that we can feel pain when we ditch items we feel connected to. Realistically, you won’t be connected to anything in your office emotionally, so don’t be afraid to ditch the dust collectors and keep clutter out of your working space for good. Anything you want to charge at a computer these days usually involves a USB so something as simple as a multi-port charger will make your life so much easier, ensuring all your tech is charged and ready for business. It has long been known that sedentary working styles are bad for our health. The NHS reports that studies have linked sitting for too many hours to obesity, type 2 diabetes and even cancer. We should be exercising for at least 2.5 hours a week or even better, you could be burning calories and staying active with a desk treadmill. You can buy them for less than £100 and you simply walk whilst you work. Check out this YouTube video on desk treadmills for more inspiration or these simple desk exercises. For Skype calls, listening to music, watching information videos and more, you have to have an excellent set of headphones. The best quality types tend to be full headphones rather than ear-insert types. Noise cancelling headphones are great for focusing whilst family chaos ensues outside the room. You might also want to consider getting a set with a microphone so your speaking is clear during conference calls, and your hands are free to type and take notes. The Amazon Echo Dot has been in homes for a couple of years now, but there’s so much use for it in your home office. Ordering supplies, managing a to-do-list, putting on some nice background music and ordering transport are all simple ways ‘Alexa‘ can help you in your home office. The skills list on the Echo Dot are always increasing, so it is likely it will continue to help you out in many more ways in the near future. Check out this Amazon Echo Dot review for further inspiration. Without the internet, you might not even be able to do any business. 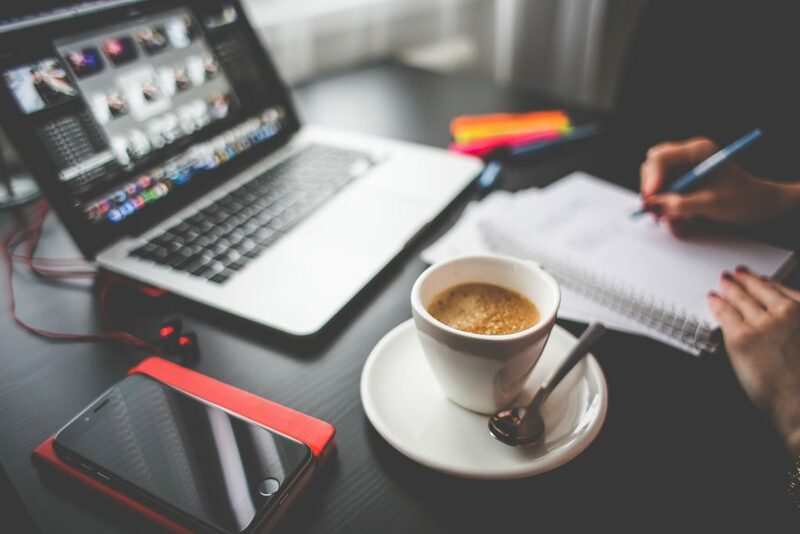 Whilst it is acceptable (though endlessly frustrating) to deal with temperamental internet connections in coffee shops, you should have a dependable internet source at home. Choose fast and reliable routers with both short and long range connections. If you’re working almost exclusively online, this should be your top priority when forming the perfect office. Your home office is going to be a personal, beautiful, practical space designed in a way to ensure your career is supported whenever you work there. Take your time, do your research and prioritise things you need before the things you want (like choosing between an internet connection or say, a gorgeous designer cushion that would look perfect on your office chair). Last but not least, have fun with it. 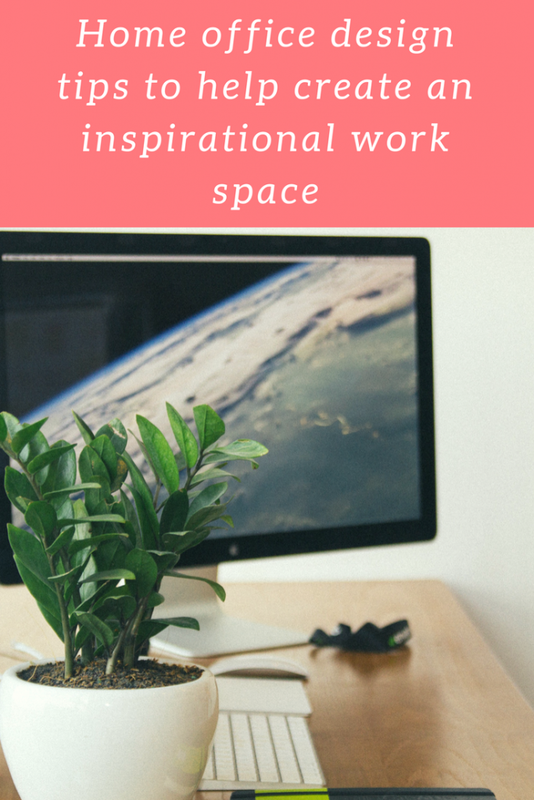 This is the room that will make you money, and maybe help you achieve your dreams, enjoy making it the inspirational space you need to support your short and long term goals. We don’t have space in our current home for an office but once we’re in a position to buy a house we’ll ensure we can have a dedicated one for hubby and I to work in. I wish we had space for a home office desk. It’s laptops at the kitchen table for us. Great article! I don’t have Echo Dot yet but Siri is also quite helpful (sometimes!) 😉 I’d also add that green is important color when we design office. It helps us to focus so I always trying to keep some plant near my workspace.